Gov Wolf and PennDOT Sec Richards toured Penn Terminals to acknowledge the recent investment and more than 500 jobs to the ports of Philadelphia. Governor Wolf joined Senator Bob Casey, elected officials and stakeholders to tout a comprehensive Capital Investment Program at the Port of Philadelphia. 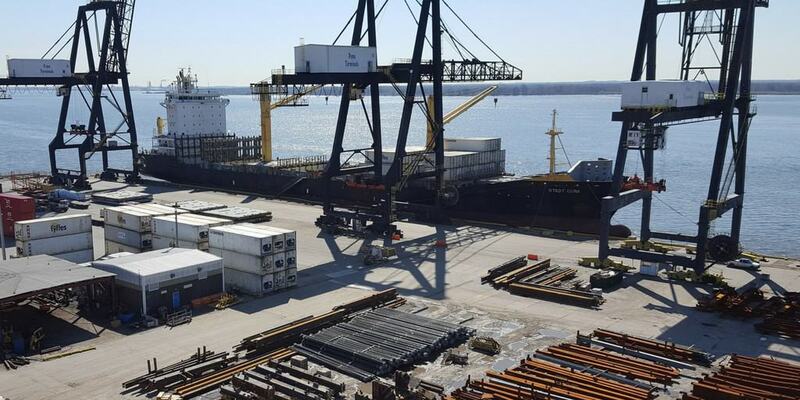 Last week, Governor Wolf announced a Capital Investment Program for the Port of Philadelphia that will invest $300 million in the Port’s infrastructure and equipment. Governor Wolf announced a Capital Investment Program at the Port of Philadelphia that will invest more than $300 million in the Port’s infrastructure. 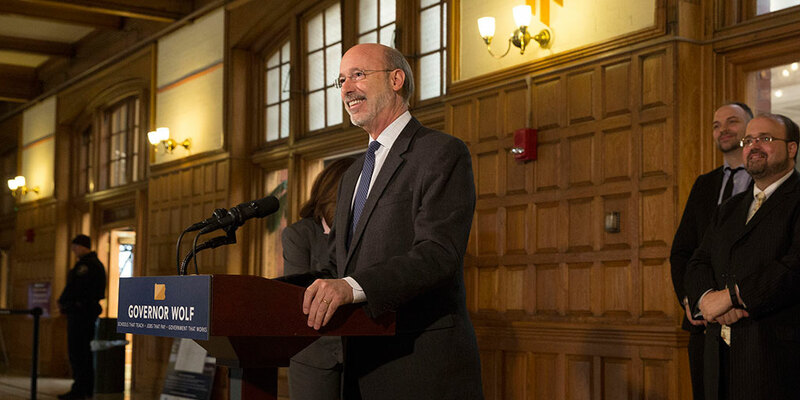 Philadelphia, PA – Governor Tom Wolf today welcomed a new shipping service to the Packer Avenue Terminal in South Philadelphia that will link directly with port operations on the Gulf of Mexico.